Yet another stylized attempt. 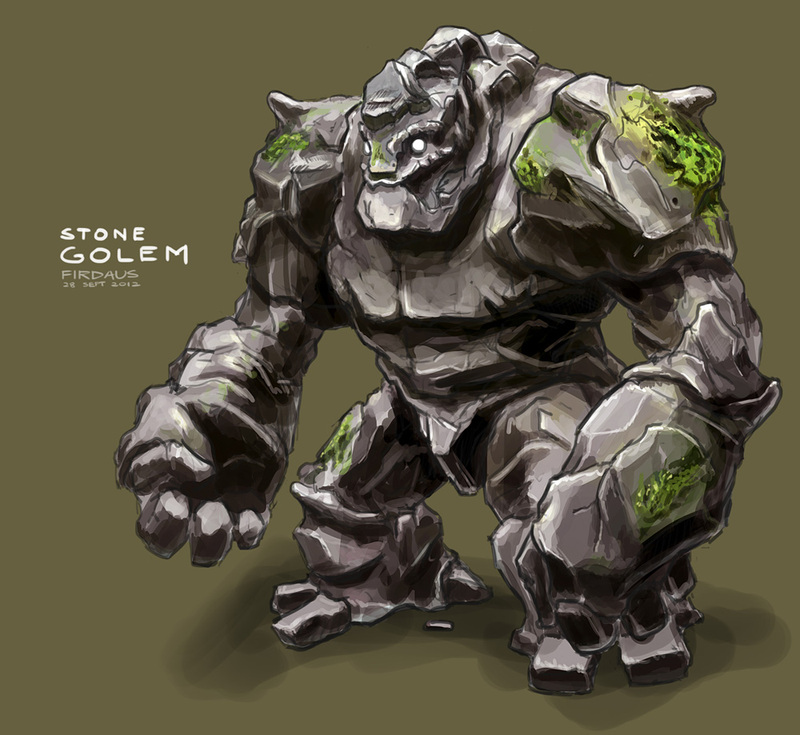 A rather generic stone golem, but he was definitely fun to draw and paint. I think bits of rock might fall out of his mouth when he talks. thanks kingston! time really flies it's almost a year since i graduated. need to work harder. Hey, do you mind if I use your art as a concept art for my 3d model? Thanks for asking! Hmm, I have to ask though, is it for personal work or commercial? If it's personal, sure. Just credit me for the design and original illustration?